Modern and spacious apartment. Fully equipped with everything we needed. Bright, spacious and modern in a fantastic location. Excellent service and great rates. Keeping this on our list Spacious, clean and well laid out apartment, with free movies on demand. Strolling distance to restaurants and quaint little shops. We got a beach front apartment, awoke to views of the sun rise, and fell asleep to the sound of waves crashing. Could not have asked for more. Clean, tidy, affordable, helpful. Can recommend it. 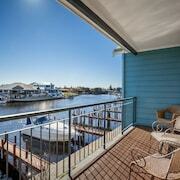 Contemplating a break in Mandurah? Whether you're the sort to put together a meticulous itinerary or wing it like a boss, there's a hotel here to suit your style. 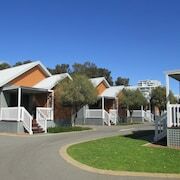 Suss out our 12 accommodation options within 5 kilometres of the action. Time to stop dreaming and start doing! Not a morning person? Never fear! 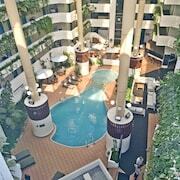 Central hotels like the Seashells Mandurah and Dolphin Quay Apartments allow the luxury of a sleep in or two. 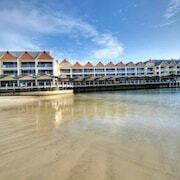 0.4 kilometres from the hub of town, the locality of Silver Sands has 2 places to book. 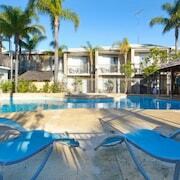 The Silver Sands Resort and the Mandurah Discount Apartment at Silver Sands Resort are worth considering. Ditch your troubles and spend some time checking out the shelves of Gourmande Delights. Mandurah Family Resort and Mandurah Motel and Apartments are a couple of convenient options if you and the squad are wanting to stay close by. Visitors after some free guides should definitely make Mandurah Visitor Centre a priority. Serenity on the Terrace and Atrium Resort Hotel are two good hotels if you don't want to stay far away. Still struggling to book a place to crash? 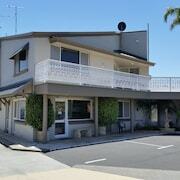 The Lakeside Holiday Apartments and the Pinjarra Resort might just be what you're after. The first is 10 kilometres from downtown, while the other is 19 kilometres away. Alternatively, you could make your way 17 kilometres away from central Mandurah to the Lazy River Boutique Bed & Breakfast. Always on the lookout for your next awesome adventure? The wider Southwest region has some incredible things to see and do as well. Among Southwest's stunning natural wonders are its rural landscapes and beaches. After you've re-balanced your chi in Mother Nature, check out history museums. Energetic visitors can also have a go at popular regional pastimes like mountain biking and rock climbing. Don't shoot through before you've gone to the Westfield Carousel Shopping Centre and the Par 3 Indoor Golf in Booragoon. 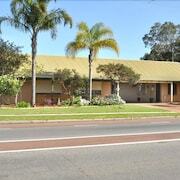 If you'd like to stay in Booragoon, consider the rates at the Como Bed & Breakfast and Murdoch University Village. Or, you could consider staying in Ardross, 55 kilometres to the north of Mandurah, where you can pick from the Broadwater Como Resort and Pagoda Resort & Spa. Western Australian Museum and the Crown Perth are popular points of interest to explore when you're in Ardross. Arrived at Perth Airport? Feeling a bit whiffy after the flight? Not to worry. Shampoo and soap are waiting nearby at the Airport Apartments by Aurum. If you can't snap up a room there, check out the Sanno Marracoonda Airport Hotel. It's also close to the airport, which sits 65 kilometres from the centre of Mandurah.